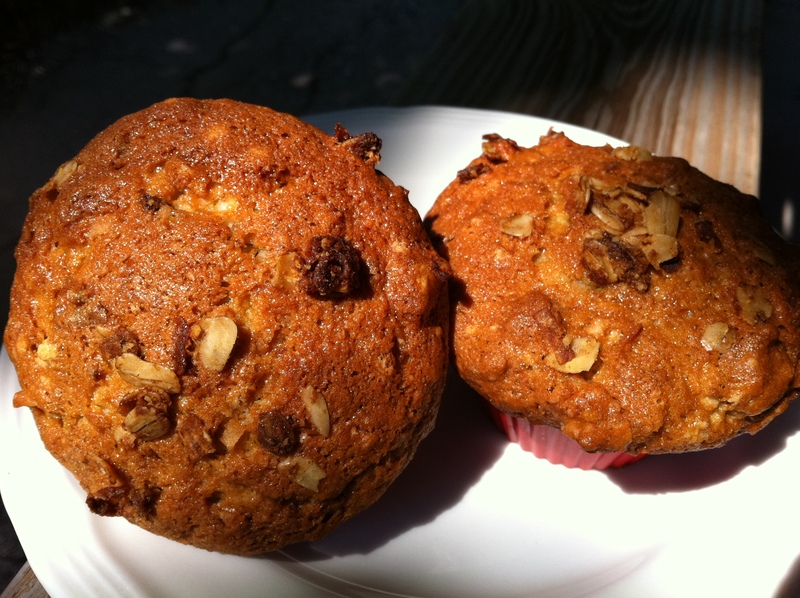 Our Banana Crunch Muffins are jam packed with real fruit flavor. But it is our homemade granola, walnuts and coconut that give it that tempting crunchy goodness. We always seem to have bananas hanging around in various stages of ripeness. When they’re almost blackened, but still somewhat firm, it is the perfect time to make this brunch favorite. Topped with a crunchy simple granola and packed with tasty, healthy goodies like coconut and fruit, our Banana Crunch Muffins are a portable treat perfect for the kiddies to grab on their way out the door so they still get a bit of breakfast, even if they are running a little behind schedule. Linen 18 large muffin cups with silicone muffin cups (or paper liners if you prefer). Sift the flour, sugar, baking powder, baking soda, and salt into the bowl of an electric mixer fitted with a paddle attachment. Add the melted butter and blend. Combine the eggs, milk, vanilla and mashed bananas; add mixture to the flour-and-butter mixture. Scrape the bowl and blend well. Don’t overmix. Fold the diced bananas, walnuts, simple granola, and coconut into the batter. Spoon the batter into the muffin cups (or paper liners), filling each one to the top. Top each muffin with remaining granola, banana chips or coconut, if desired. Bake for 25 to 30 minutes, or until the tops are brown and a toothpick comes out clean. Cool slightly, remove from the pan, and serve.